Ever since I bought Spectacular Spider-man #86 in the fifth grade and hugged it tightly to my chest while watching Spider-man and his Amazing Friends, I’ve dreamed of drawing for Marvel Comics. As I grew older, however, my own deficiencies as a draftsman became more and more apparent and I quickly realized that my dream would have to go unfulfilled. 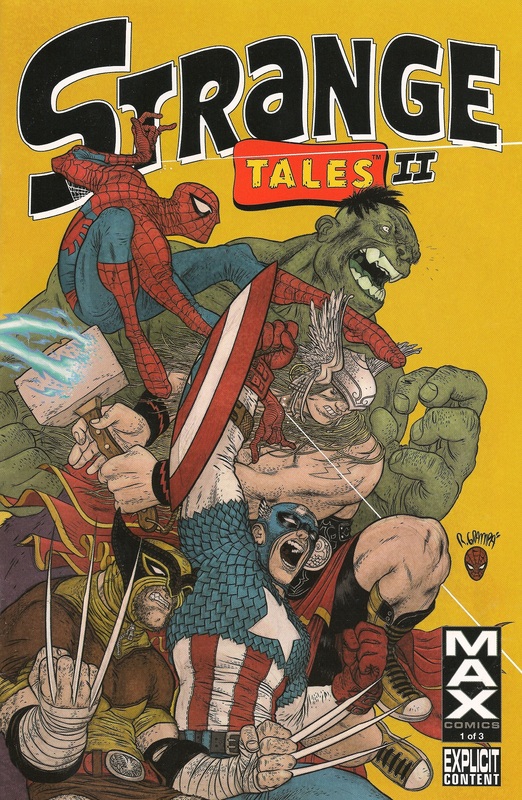 But then, those crazy folks at Marvel decided to publish an anthology called Strange Tales where they would ask indie cartoonists to take a crack at their characters. And they asked me! ME! Not only did I get to draw a four-pager starring my favorite Marvel superhero, but I also got to share pages with comics luminaries like Dash Shaw, Jhonen Vasquez, Kate Beaton, and Jeff Lemire! When I got my paycheck with Spider-man printed in the corner, it was sooo cool that I almost didn’t cash it. Almost.